If you were a fan of the ‘The Fast and The Furious: One through Seven’ movies, (I can’t believe they were able to make seven, either) then you might be a fan of drift cars and the drift car phenomenon. For those, who are unfamiliar with what drift cars are and what this craze entails, I will paint the picture for you. Imagine a young child seated proudly atop a bmx bike at the far end of a gravel and dirt packed parking lot. As the child’s friends cheer on from the other side, the kid hits the petals hard and races at top speed through the parking lot towards the pack of friends. As soon as the child reaches the necessary speed, he slams on the break and leans back, sliding the bike sideways, stirring up a cyclone of dust and stones that consumes the crowd as the child continues to drift past. This is the essence of drift car racing for those who have never tried it. 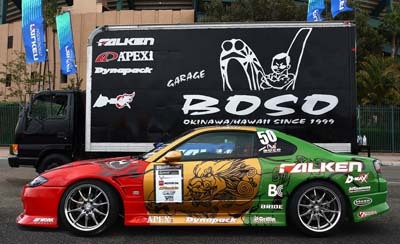 Garage Boso is the holy grail of drift racers. 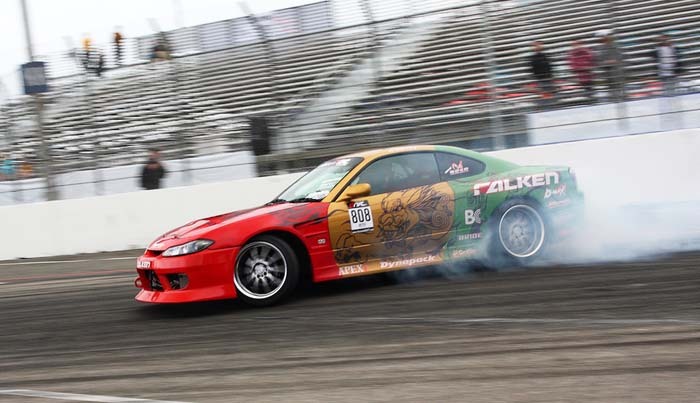 The drift cars themselves can be street cars or possibly even race cars with adjustments to the engines and other modifications made to enable them to accelerate rapidly, slide sideways and accurately maneuver through turns while continuing to slide. On Okinawa, drift car racing has a huge following and was extremely popular from 1997 onwards before they even created ‘The Fast and the Furious 1 (est. 2001)’ after which, the sport massively exploded and developed a devoted following. Those who are considering joining one of the drift car communities on Okinawa are already late to the race as the law has since caught up with the sport, and rendered it illegal to participate in. If caught, participation can result in heavy fines and a revoked drivers license. The heavy penalty is a result of the public conception that it is an extremely dangerous activity. It is difficult to argue that ‘drifting’ is not dangerous or even life threatening, especially since the tragic death of Paul Walker (the star of The Fast and Furious) who actually died in a drift car accident. Drift Car enthusiasts on Okinawa need to find a secure place to practice their sport so they often venture out to abandoned industrial complexes, empty harbors or unused country roads to slip and swerve amongst friends while burning rubber without upsetting the public or placing anyone but themselves in danger. Nonetheless, the police are not amused by any of the fun that the drifters are having, and are diligent in laying hefty fines on those they catch. In Nago City, an actual drift car race track was built so that drifters could continue to play safely and legally without the fear of massive fines or loss of licenses, but unfortunately the owner of the track had a change of faith and decided to turn the track into a solar panel farm, which is much more lucrative than operating a drift track. Through all of this adversity, a stable community of drift car enthusiasts remains on Okinawa and maintains the densest following in the world. You can wander down to Gate 2 of Kadena and easily see for yourself, modified GTO’s built for drifting, which affirms the fact that the now underground sport is alive and well here. 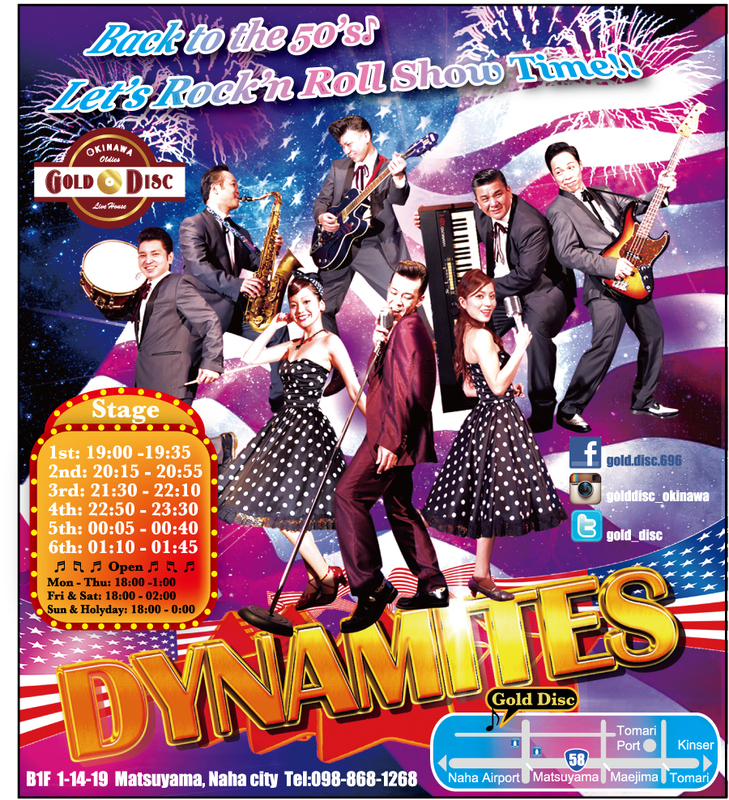 If you are intrigued by driving ‘fast and furious’ on Okinawa then you need to seriously consider the repercussions of being caught before partaking in the sport as it is not for the faint of heart. If after careful considering of all consequences, you are still eager to participate in this illegal and underground sport, you will no doubt have some of the most exhilarating rushes of a lifetime, and look pretty damn cool while doing so.